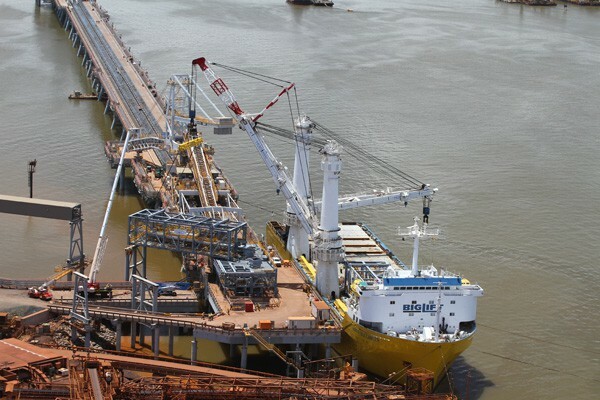 For a resources company’s iron ore expansion project at Port Hedland, Happy Buccaneer used the brand new flyjib to lift and position two shuttle truss sections (each approx. 310 mt) and two transfer stations (each approx. 200 mt). 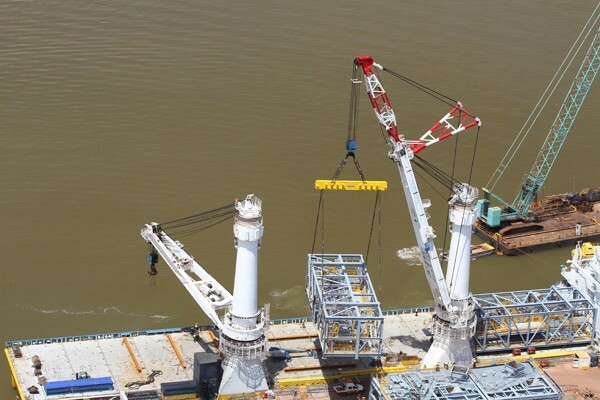 The addition of the 17 metre long flyjib to one of Happy Buccaneer’s cranes provided the 35 metre outreach and the hook hight of 52 metres required to position the four sections. 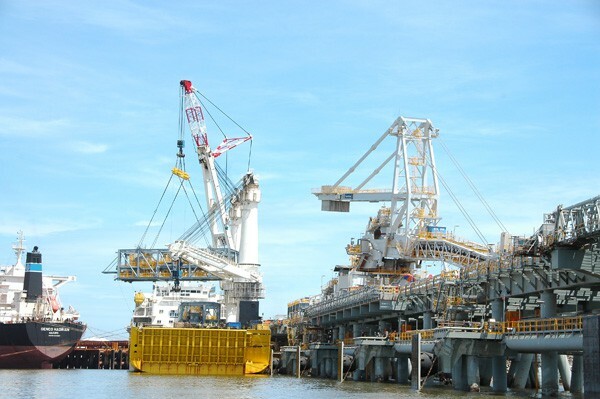 It took only two days to install the sections installed neatly in their designated positions. The two days were not consecutive as cyclone Heidi made an unscheduled appearance in the middle of the operation. 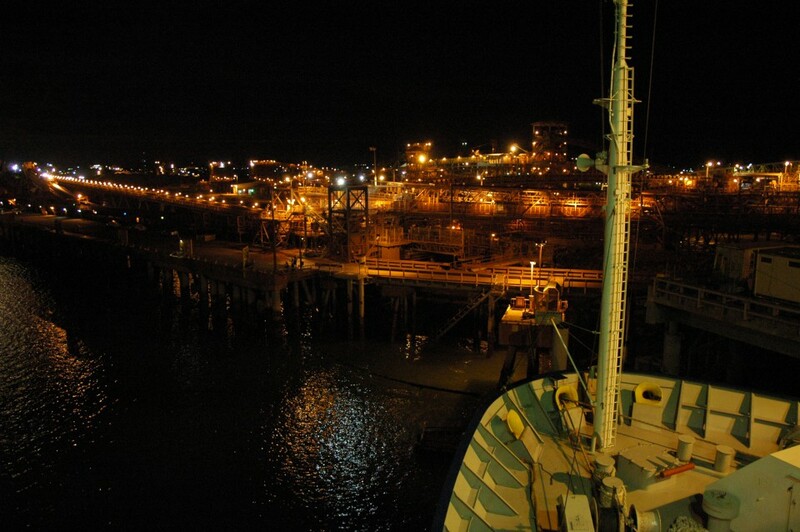 All ships had to leave the port and Happy Buccaneer had an uncomfortable two days riding out the cyclone off Port Hedland. 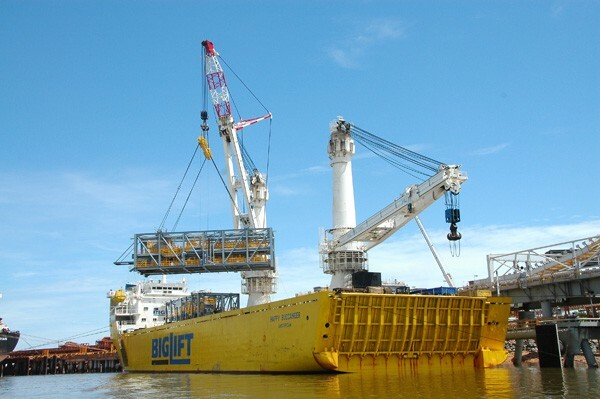 She then returned to port to complete the discharge of the two shuttle trusses which had remained on board throughout.